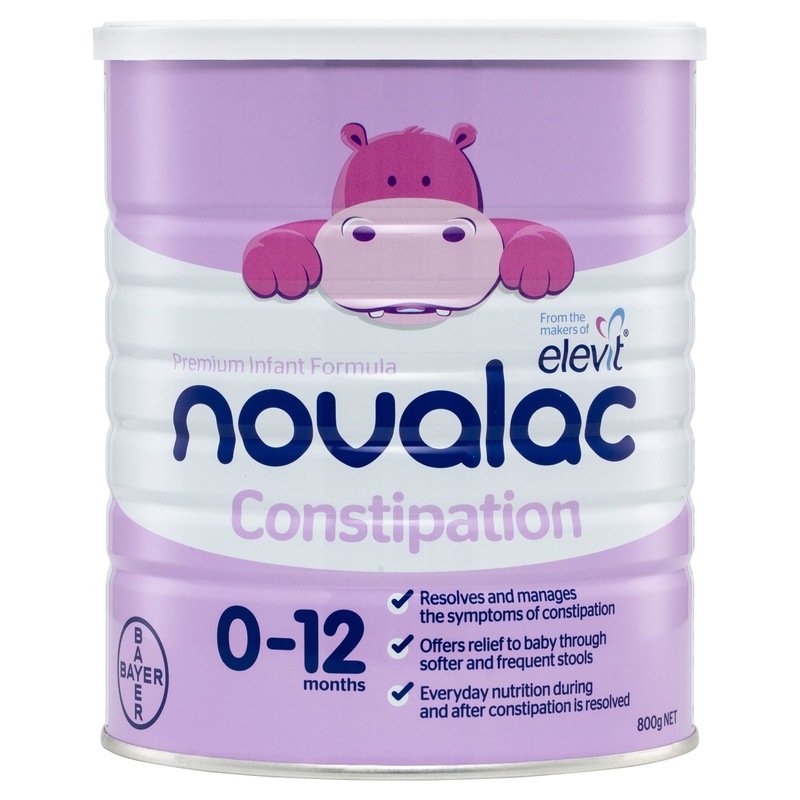 Novalac Constipation is a premium infant formula that has been specially formulated to help soften the stools of constipated babies, reducing discomfort and helping to settle your baby. Novalac Constipation is a premium infant formula that is specially designed to help provide relief to babies with constipation. Novalac Constipation contains a balanced blend of nutrients to help maintain the transit of food through the baby's gut reducing discomfort and helping to settle your baby. The levels of ingredients such as lactose, magnesium and calcium in Novalac Constipation have been precisely adjusted to increase the water content of your baby’s stools. This softens the stools and aids movement through the digestive tract without the use of laxatives. Novalac Constipation is nutritionally complete and suitable for ongoing everyday use after your baby’s constipation has resolved. Skimmed cow's milk, demineralized whey, vegetable oils (soy and palm), lactose, calcium citrate, calcium carbonate, di-potassium phosphate, vitamins ( A, D3, E, K1, B1, B2, B6, B12, C, Niacin, Biotin, Folic acid, Pantothenic acid ), magnesium chloride, emulsifier : soy lecithin, disodium phosphate, sodium chloride, potassium chloride, choline bitartrate, taurine, potassium hydroxide, iron sulphate, zinc sulphate, anti-oxidant : tocopherols, inositol, L-Carnitine, potassium iodide, copper sulphate, sodium selenite, manganese sulphate.